The new E-Cabriolet is powered by a powerful 3.0-litre, twin-turbo V6 engine which is mated to a 7-Speed 7G-tronic auto box which produces 333hp of power and a maximum torque of 480Nm. The car is does a 0 to 100 in quick 5.3 second and can reach a top speed of 250 km/h. The E-Cabriolet is equipped with 9 air-bags for safety. It also has an electronically operated soft-top which can be operated at speeds up to 40Km/h and is available in four soft-top colours. 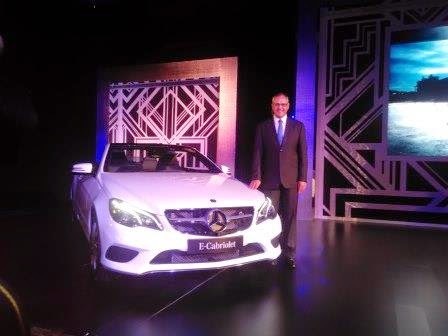 The E-400 Cabriolet has been priced at Rs.78.5 lakh (ex-showroom, Delhi). 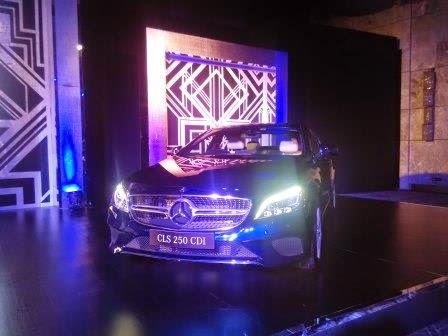 The new CLS 250 CDI is powered by a 2.2-litre four-cylinder unit which is mated to a 7-speed 7G-Tronic Plus automatic transmission. The engine gives out maximum power of 204hp and maximum torque of 500Nm. On the safety front, the CLS comes equipped with 8 air-bags. On the features front, the CLS comes with parking package with 360degrees camera and Active Parking Assist. It is also equipped with an 8-inch COMAND infotainment system and Harman Kardon surround system with 14 speakers. The CLS 250 CDI is priced at Rs.76.5 lakh (ex-showroom, Delhi). Both the cars are being brought in as Completely Built-Up Units (CBUs).